There are literally tons of different types of holsters from even more manufacturers. 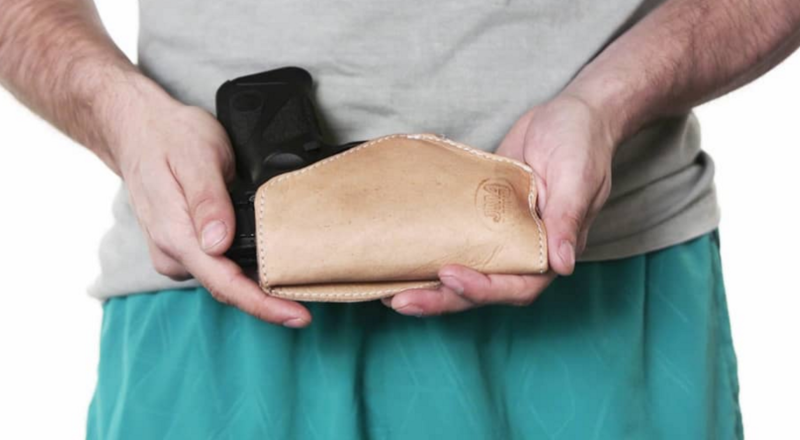 Most of the companies who make these concealed carry holsters stick to one or two different kinds of materials, and that's the main topic of this article. 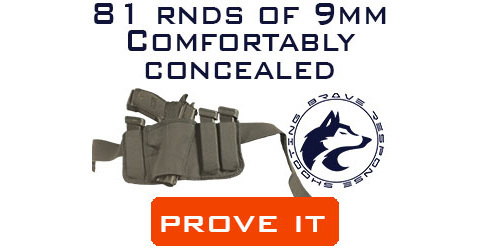 We wanted to start at the beginning to help you, the concealed gun carrier, make a more educated decision for your first, or next, concealed carry holster. Let's jump right in, head first. When most people hear the term “gun holster” their mind usually drifts to a thermoplastic material simply known as Kydex. 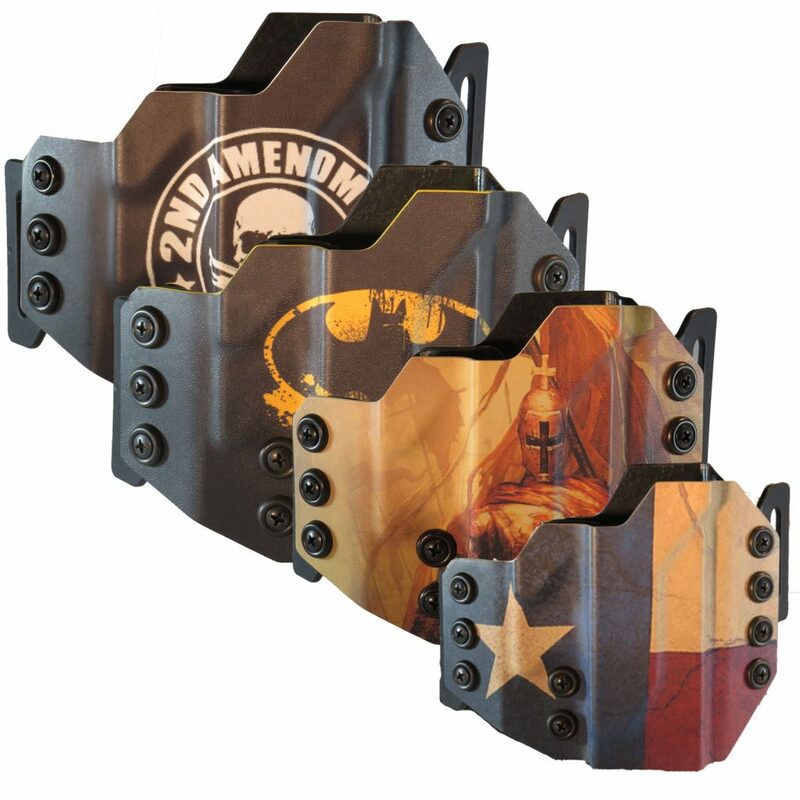 This material is easy to work with and form to the shape of your gun, and because of this, it's one of the top materials manufacturers trust when making holsters. Kydex gun holsters are produced by many different companies, but here is one of our favorites: Crows Tactical. Whereas Kydex is shaped one at a time using sheets of material, injection molded holsters can be mass produced in large quantities at lower costs, therefore passing on savings to you, the end consumer. The way it works, is molten plastic is inserted into a mold (for whichever gun you have), and that plastic melt dries into the shape of your gun holster. Some of these have been known to marr the finish of a gun, so keep that in mind if you decide to go this route. Some leather gun holsters are molded to fit a specific gun, or batch of guns, while others are loose fitting and can accept guns of different sizes, like these from JM4 Tactical. There are a plethora of nylon holsters available on the market from Uncle Mike's to BLACKHAWK! Holsters. Some are stiffer because of a foam insert the manufacturer uses, while others just use the nylon itself. Others, still, insert a Kydex shell inside to offer up some rigidity and trigger protection. Sharkskin Canvas isn't a material usually used in concealed carry holsters, but it is one of the main ingredients in our very own Brave Response Holster. This one is a durable, breathable fabric that is used in marine applications, is washable, and bends to the shape of your body which helps to aid in comfort. As a bonus, this holster comes with three built-in spare magazine pouches in case the zombie hoard ever try to slurp your brains up through a straw. That way, you can have a backup, to your backup's backup. Some companies found that bare leather on the skin was about as comfortable to wear as a fry pan. So, they developed a way to use the softness of neoprene to help aid in comfort. I do want to say, here, however that leather will eventually work itself into being comfortable if you give it enough time to. One company who uses neoprene heavily is Alien Gear on their Cloak Tuck 3.0. There are too may different stretch materials to list independently, so we'll just put them all together in one. If a holster stretches to fit your body, it belongs here. One such holster is the Lethal Lace wrap designed for ladies to carry a concealed gun. Lethal Lace doesn't stretch as much as some others out there, but just enough for comfort–from what I'm told. There you have it. My comprehensive (sort of) list of gun holster materials. There are a lot of other materials on some holsters, like the metal found in clips, rubber coatings, etc. Do you have anything to add to this list? Did I miss something? I am human, after all. If I did, let me know in the comments below. Then, if you want to know our picks of the top 21 holsters available right now, hit that link.